This month’s stock market correction is still fresh in everyone’s mind. 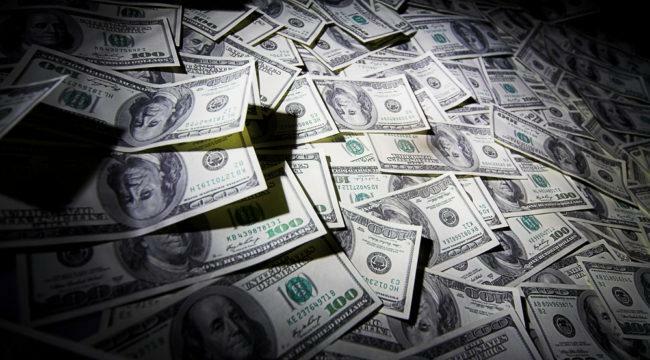 Many have even begun to wonder if the era of dark money was truly over. How will the recent correction affect the Fed’s dark money policies? The consensus explanation for the correction was that inflation was rising and that would precipitate faster rate increases. The Feb. 2 unemployment report gave the impression that higher worker wages could lead to a higher inflationary trend. I don’t buy this at all. I believe these fears of inflation are overblown. As my colleague Jim Rickards has explained, the Feb. 2 report revealed that total weekly wages were actually declining and that labor force participation was unchanged. And the year-over-year gain in wages only seemed impressive compared with the extremely weak wage growth of recent years. After accounting for existing inflation, Jim argued, the real gain was only 0.9%. That’s weak relative to the 3% or even 4% real wage gains typically associated with economic expansions since the end of World War II. Meanwhile, the latest report on U.S Gross Domestic Product (GDP) for the fourth quarter of 2017 was nothing to write home about. At 2.6% annual growth, it was 0.3% lower than expectations. That’s not the sign of an overheating economy. But those in the financial media considered it positive because it showed 2.80% growth in real personal consumption. And last month the U.S savings rate fell to near its lowest recorded levels in the past 70 years. The only time it hovered so low was just before the recent financial crisis. Second, there’s credit card debt. Over the last four quarters it has increased by about 6% annually. That’s three times faster than its rate during the years following the financial crisis, and double the increase of income. What this means for those on Main Street is that they are keeping up with expenses by sinking into greater debt. What this also means is that the Fed’s massive injections of dark money since the financial crisis have not helped real people in the real economy. They’ve simply inflated a massive stock market bubble. Unfortunately, that reality is not going to stop them from perpetuating dark money policies. Despite the Fed’s “tough love” language, they don’t want markets diving. They are all too aware that media hyped, government constructed “growth” isn’t real. Before the stock market woes, there was widespread speculation the Fed would raise rates four times in 2018. Of course, once the correction happened, some at the Fed sprang to action to assure markets that the Fed was sticking to its game plan. William Dudley, president of New York Fed, characterized the recent stock market decline as “small potatoes” relative to its gains. Meanwhile, Charles Evans, president of the Chicago Fed, who didn’t want a hike at the last meeting, said he would support “three or even four” rate increases this year. His statement was based on whether inflation really is moving up, and provides wiggle room for fewer hikes if it isn’t. You can read that two ways; one, that hikes will continue as planned; and two, that if the Fed feels pressured they will pull the brakes on hiking rates. It’s all about market signals, not the real economy. He previously echoed outgoing Fed chair Janet Yellen’s caution against hiking rates too aggressively. Under Yellen’s leadership, the Fed kept rates near record lows and continued both a dark money-quantitative easing program. There’s no reason to expect he’ll change his views now. Wall Street and the financial markets are now daring Jerome Powell to reconsider any inclinations to raise rates more aggressively. The correction sent a clear warning against further tightening. What that means for you is that the Fed will be thinking twice going forward. They know the inflated stock market is all they have to show for all their efforts these past years. So you can expect the markets to continue receiving their injections of dark money if the market stumbles again. It’s the Fed’s only proven trick. So expect stock markets to move higher overall. Of course, there will be more volatility in the days ahead. The most common measure of market volatility is the CBOE Volatility Index, or VIX. Last year, the VIX fell to a historic low of 8.56 in November. On Feb. 6, it hit a 2.5-year high of 50.30. After that, it dropped to 17.60. Today it’s back under 17. Volatility has hit junk bonds, emerging-market equities and Treasury bonds. In the Treasury market, 10-year yields hit four-year highs. And you can expect the bond market to also continue exhibiting more trauma on even the slightest rate hike rumors because the deluge of debt is not sustainable. The seesaw movement in the VIX indicates that this volatility of volatility is here for the long haul this year. Why? Because stocks are fundamentally being lifted on a steady diet of dark money. Based on the trends, expect this to become the new normal. This plays out in multiple versions. 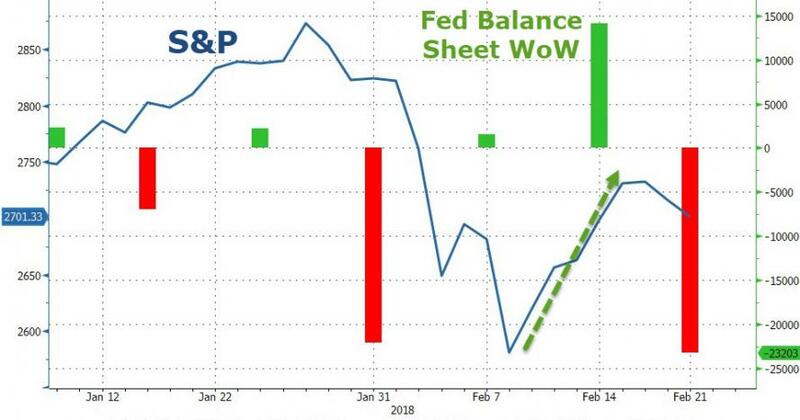 The clearest way is that every time dark money looks like it will be removed, the markets fall, and then when major central banks indicate that’s not really the case, markets rise again. While this may not be the end of the storm, expect rising volatility to present opportunities in the future.